As people have been discussing the issues surrounding the Fukushima Daiichi Disaster, the future of nuclear power comes up. Frequently someone will show up to the discussion to proclaim thorium will be the savior of the nuclear industry and all of the world’s power needs. The misinformation on thorium is highly promoted by the nuclear industry and various companies that want investment dollars for thorium reactors and fuel. This fairy tale being told about thorium is far from accurate and realistic. The problem becomes worse as uninformed people hear a brief propaganda piece on thorium and pass on that information without any research of their own. One myth is that thorium is safe. Thorium-232 has a half life of 14 billion years (billions, not millions). Thorium-232 is also highly radiotoxic, with the same amount of radioactivity of uranium and thorium, thorium produces a far higher dose in the body. If someone inhaled an amount of thorium the bone surface dose is 200 times higher than if they inhaled the same amount of uranium. Thorium also requires longer spent fuel storage than uranium. With the daughter products of thorium like technetium‐99 with a half life of over 200,000 years, thorium is not safe nor a solution to spent fuel storage issues. Thorium is unable to produce energy on its own. Something thorium cheerleaders frequently fail to mention is that it needs a fissile material like uranium-235 or plutonium-239 to operate the reactor. Uranium-235 and plutonium-239 are both considered bomb making materials and a proliferation risk. So now all the “safety” of thorium has been trumped by the need for weapons grade material to operate the reactor. The work involved to enrich the uranium-235 used in a thorium reactor to the percentage needed for a bomb is not a difficult process. The reprocessing cycle does not resolve the proliferation risk. Another myth is that thorium reactors can run at atmospheric temperatures, in order to produce power they must be run differently and would not be at atmospheric temperatures. Many of the thorium reactors use liquid sodium fluoride in the reactor process. This material is highly toxic and has its own series of risks. The creation of thorium fuels is also not safer than creating uranium fuels. Thorium poses the same nuclear waste and toxic substance problems found in mining and fuel milling of uranium. Thorium power production has been experimented with for over 50 years. Thorium breeder reactors have been experimented with but have technical issues and breed fuel at lower rates than tradiational breeder reactors. It is frequently claimed that India has a bunch of successful thorium commercial power reactors. The reality is that India has been trying for decades and still has not developed a commercial thorium reactor. Thorium is also not more economical to run. The fuel cycle is more costly and the needed protections for workers, plant safety and the public are considerably more than existing fuels. The Germans experimented with a Thorium reactor, the THTR-300. They found even with the thorium reactor there were substantial risks in a loss of coolant event. They also had issues with concrete structures failing due to extremely high heat, fracturing thorium fuel and hot spots in the reactor. There was also a radioactive release into the air due to a malfunction. The reactor was eventually scrapped due to technical problems and costs. Another rather silly claim going around is that “thorium is so safe you can handle it with your bare hands!”. Sorry, but you can do the same thing with a uranium fuel pellet. this entire script is so inaccurate and misleading it is difficult to know where to start, but the statement “Many of the thorium reactors use liquid sodium fluoride in the reactor process” is just plain wrong. There have not been enough Thorium based reactors to be able to make the statement that many had any facet in common, let alone this particular coolant. There are a number of errors with this article. Let’s start with the reference to “atmospheric temperature”. This is clearly wrong. Nobody claims that any nuclear reactor would operate at atmospheric temperature except proponents of cold fusion. Thorium reactors (the LFTR design) are anticipated to operate at between 500 and 1000 degrees Celcius. Much hotter in fact than conventional light water reactors. They do however operate at atmospheric pressure. This means if a pipe breaks there isn’t an inclination for materials to rush out. Any material that escapes will ooz out and turn solid. This freezing oozing process tends to limit any further escape of material. This is a big advantage relative to light water reactors that operate at very high pressure (~ 100 atmospheres). If a pipe breaks in a light water reactor water rushes out and flashes to steam. Relative to the pressurized water the steam occupies a huge volume of space. Also hydrogen often gets formed as water molecules are blown apart. This means material spreads out quickly, occupies a huge space and can be explosive. Oozing fluid rapidly turning solid compared to rushing gas expanging rapidly and inclined to explode. I’d prefer the Thorium option thanks. 1. Thorium is not “highly radiotoxic” – it is all around us and is barely radioactive – the longer the half life the less radioactive (and the half life of Thorium is three times the life of the earth) Thorium has been on the earth as long as we have! – anyway which isotope of Uranium which of Thorium? Thorium 232 I assume (this is the only naturally occuring isotope) but which isotope of Uranium? – this is just not the case . If an atom of Thorium 232 was ingested you would have to live three times the life of the earth to have a 50% chance of that atom (or its decay products) emitting any radioactivity! 3. Yes fissile material or neutrons of some sort are required – but this is a strength not a weakness. It is because Thorium is so unradioactive that it has to be turned inot Uranium 233. The Uranium 233 splits releasing energy. All this is in a liquid salt. Because they are Molten salt reactors they will, if left alone, not “run away”. The hotter they get, being liquid the liquid expands – the slower the reaction so then they cool. Below 400 degrees they solidify and the reaction stops. In addition a plug is installed that is cooled by electricity. If the electricity goes off the plug melts – the salt drains to a tank – it solidifies and ceases to react. 4. “Another myth is that thorium reactors can run at atmospheric temperatures…” – this is complete rubbish – no one says that this operates at atmospheric temperatures. – atmospheric pressures? – yes in the Molten Salt Reactor (which is by far the most promising) the salt is at atmospheric pressure. This means that there is no need for massive containment and the substance is far more controllabe- this is a good idea! – if this is the level of understanding of the writer heaven help us! That said the answer is still “no!”. One reason is because most of the fuel is “burned” in the reactor far less Thorium is required (it takes 800000 tonnes of Uranium ore to burn one tonne of Uranium) 250 tonnes or ore to breed then burn one tonne of Thorium. I genuinely regret having to “trash” this view as I am as keen as anyone else to have the debate. But this is frankly ill informed and misleading. one of the big problems at Fukushima was/is the spent fuel in pools which probably sustained a lot of damage during the cooling outage. These pools exist at every solid fuel nuclear facility on the planet. A LFTR offers an opportunity to reduce the volume of nuclear waste in such pools by a significant amount, in a significantly shorter time frame than would otherwise be possible. Whichever way you look at it, spent nuclear fuel is a problem which will be with us for millennia, with no hope of remission, unless a reactor capable of burning nuclear waste becomes a reality. A Liquid Fuel Thorium Reactor is one such solution, and is probably the most promising and most economic potential solution. Be careful what you wish for. I’m afraid that you know quite little about thorium, nuclear power and radioactivity. I’ll just pick over a few select paragraphs as an example. A fundamental principle of radioactivity is the longer the half-life of a substance, the less radioactive it is at any given point. As human lifespans are quite short compared to the half-life of Thorium-232 this means that its relative radioactivity is quite low compared to actually hazardous radioactive substances like Strontium-90. In fact, natural thorium ore makes up a substantial portion of the natural background radiation found on earth. Actually, it only needs a start-up charge of fissile material to get the chain reaction going. Once enough Uranium-233 has been bred from Thorium-232 the reaction becomes self-sustaining, provided that Thorium-232 is supplied to the breeding blanket. The uranium fuel used in today’s nuclear reactors is Low-Enriched Uranium. LEU has less than %20 U-235. ‘weapons grade’ uranium is upwards of %80 U-235 in order to have a properly functioning bomb. The difference between those two proportions is enormous in terms of enrichment. This makes the production of HEU completely unnecessary for use in a nuclear power plant. The notion that you need ‘weapons-grade’ material for a nuclear power plant is highly enriched absurdity. Actually the claim is that the LFTR (the most commonly referred-to thorium power plant design) operates at atmospheric pressure. It actually operates at about 700 degrees Celsius temperature-wise. This is not a problem and thermodynamically is quite beneficial. Hate to break it to you, but table salt is sodium chloride. Fluoride salts are actually really chemically stable and pose little threat to human health. Those experiments have been with solid thorium fuel in conventional light and heavy water reactors. LFTRs use thorium as a molten salt. Well, they don’t have any thorium reactors at all. It is a goal of India’s nuclear power programme to use thorium in breeder reactors, but they intend to do this much later in their development process (see http://en.wikipedia.org/wiki/India%27s_three_stage_nuclear_power_programme ). Likewise, this was a solid-fuelled reactor design and had problems with fuel damage that every existing nuclear power plant has to deal with. In their case the fuel damage was accelerated due to the high temperatures involved. Actually, the fuel cycle is less costly because thorium is 4 times more common as natural uranium in the earth, requires no expensive enrichment in order to be usable (as it is a ‘fertile’ material that Uranium-233 fuel is bred from) and is in fact a waste product from rare-earth mining. If mined conventionally thorium has the same risks as uranium, not more. I suggest that you read through the Molten Salt Reactor page on Wikipedia (http://en.wikipedia.org/wiki/Molten_salt_reactor) that you provided as ‘further reading’ material. In addition, http://energyfromthorium.com/ is an excellent resource on the Liquid Fluoride Thorium Reactor design. This article is full of errors and logical fallacies. While Thorium-232 has a long half-life, this doesn’t matter since the transmutation in the reactor transforms the Thorium to a spectrum of other elements. Also Thorium-232 is a waste product of large quantities when mining metals for electric engines, wind turbines, cellphones, computers, solar panels and much more. A high-tech or energy demanding society will create radiotoxic waste of huge quantities. The radiation from Technetium-99 will be stopped by a thin wall of glass. Also Thorium doesn’t require weapon grade materials to start the chain reaction, you can use far less concentrations of the materials. All high-tech equipment that require REEs has the same problem. The benefit of Thorium over Uranium is that you need to mine far less ore. Wind turbines actually creates larger mines and more radiotoxic waste per energy unit than a thorium reactor would. This because Neodymium is usually found in small quantities in Thorium rich monazite ore.
Also the Nuclear industry has not promoted the Thorium fuel-cycle, they have on the contrary opposed it by promoting the Uranium fuel-cycle. I’m sorry to say there are some problems with this presentation: I hope you’ll allow me to clear them up. All natural thorium is Th232 which does have a colossal half life. What that means is that the decay events that cause radiation happen very rarely. That’s why it’s safe to handle. A long half life means low radioactivity. Safety of thorium itself, in use, is a non-issue, though miners and refiners have to be protected just as with uranium. One point to note is that as thorium is a breeder cycle, you need to mine much less, 20-times less, than you need natural uranium to fuel a conventional reactor. In fact, we may be able to get what we need from the tailings of other mines. The fuel bred from thorium is uranium, specifically U233, not U235. When it is used in a reactor, the fission products are the same per unit of energy as with conventional uranium fuel. Tc-99 is an issue because it needs to be kept out of biological circulation (or substantially diluted.) But it’s produced in such a tiny proportion that its long half life allows the overall fission waste activity to fall below that of the original ore in five hundred years. That’s a long time, but it’s much less than 200,000 years, and we know we can build stores that will last that long. Thorium breeders do need fissile material to start. One of the more positive features of thorium breeder proposals is that we have to consume our plutonium stockpiles to start them. Once they are running, they produce all or most of their fuel in a form which is technically unsuitable for bombs — it’s contaminated with U232. It would be cheaper to run a “manhattan project” (as the Iranians are doing) than use the contents of a thorium breeder. The alternative breeder cycle based on natural uranium 238 produces (depends on) plutonium. Conventional reactors make Pu too. Plutonium has real proliferation consequences, because it’s chemically separable, and that’s why many people prefer thorium. The other pressing point about thorium breeder (and this applies to Pu breeder cycles too) is that it doesn’t create the trans-uranic wastes like americium and curium. These are the components that make conventional nuclear waste potentially dangerous for thousands of years. The Pu cycle consumes them, and Th cycle doesn’t produce them. The Indians have discovered that solid core reactors make the thorium breeder cycle just too difficult to manage. That’s why liquid cores are central to the new thinking about thorium. Liquid core reactors don’t need to be thorium-based, but liquid operation appears to be the step that will allow thorium breeding to work. So it’s a bonus, in a sense, that molten-salt reactors have all the safety benefits that come from running at atmospheric pressure (not temperature as the article said.) And because they don’t use water as a coolant, they can run hot enough to drive gas turbines instead of steam, with the consequent efficiency benefits. One point that needs to be said about liquid cores is that they can change their shape. When they get too hot, they don’t buckle fuel cans, boil coolant, cook up hydrogen and jam the core — they just expand into the overflow, reduce density and slow down. If you want to switch off in a hurry, you can pour the core into wide flat pans that can cool by convection, without fans. The fluoride salts that carry the nuclear material are chemically stable — they won’t burn or vaporise or create explosive hydrogen in the way we saw at Fukushima. Molten salt reactors, even large power-station designs, can be, as they say, “walk-away safe”. The economics of thorium remain to be tested. There’s no reason why molten salt thorium breeders need cost much more to run than gas generators, but without the CO2 and methane leakage from fracking. Because the stations are smaller (gas turbines don’t need cooling towers or the ocean) they may well be much cheaper than current nukes, once you look at the simpler decommissioning. So that’s the modern thorium story. Liquid core reactors allow fuel breeding from thorium. The thorium cycle doesn’t depend on plutonium, but benefits from the simpler waste management. The reactors have important safety and efficiency features. It’s appealing and we should be looking at it more closely than we are. 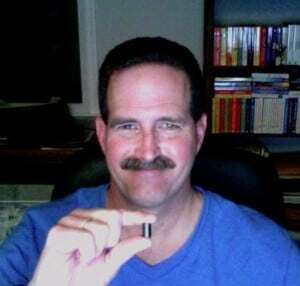 A Pellet that size of Thorium would power your life for a good 30 years. That said, a LFTR doesn’t use pellets! 🙂 It uses a liquid salt which avoids quite a few of the pitfalls of nuclear fuel pellets. There are a lot of misinformation about thorium molten salt reactors in this article. Just to illustrate one of them, the author is likely to be confused (????) when mentions that “another myth is thorium reactors that can run at atmospheric temperatures”. Probably, he wanted to mean atmospheric pressure? We must ask ourselves: what is the real intention behind all this misinformation? I think you are wrong to say that “the misinformation on thorium is highly promoted by the nuclear industry”. On the contrary I think most of the nuclear industry is dead against liquid thorium reactors because this new technology would make their current intellectual proporty worthless and destroy their lucrative enrichment and fuel producing business. Finally I think you should discuss liquid flouride thorium reactors seperately from the old non-liquid designs. Non-liquid designs are pretty much like any old standard nuclear reactor with the same pro and cons. The exciting possibilies, including solving our waste problems, lie exclusively in the liquid designs. You make a bunch of claims, mixing facts and your opinion. What expertise do you have in the nuclear field, specifically with Thorium? I ask because there are a number of mistakes in your article. Are you willing to make corrections or is this like Fox News where the truth doesn’t matter? I’m pro thorium, so let me do a point-by-point rebuttal on this one. When I refute points about the cycle or the reactor, I’m only talking about a MSR, in particularly the LFTR, the Liquid Fluoride Thorium Reactor. Solid fuel reactors, particularly thorium based ones, offer no safety or economic advantages and most of your points apply to these. No, it’s not, there are a few companies like lightbridge who are trying to use thorium in conventional solid fuel reactors. However, no established nuclear power company will consider the molten salt form, it’s much easier and cheaper to produce and doesn’t fit their fuel-contract business model. Tungsten (in lightbulbs), has a half life of 1.8 quintillion years (that’s 1.8 * 10^18). The longer the halflife the safer and more stable the isotope. I don’t know where you get your numbers from for “same amount” and “more radiotoxic”, but the fact is that both uranium and thorium end up in household goods (lantern mantels use thorium oxide, some lenses use thorium fluoride lens coatings or thoriated glass), but the uses of uranium to color ceramics has been banned. Yes, thorium by itself will not burn. But there are two advantages to the thorium cycle which you don’t mention. a) With a breeder reactor, you only need to ship the fissile core material once, and from then on ship fertile material. This means that you only have to guard the core, the transport of fertile material isn’t a proliferation risk. b) While the core might run with a conventional U-235 starting charge, the fuel that thorium breeds is U-233, a more fissile material with built-in anti-proliferation characteristics. U-233 self generates U-232, which has very high energy gamma emitters in its decay chain. It becomes useless for bomb making since the gamma emissions are easy to detect, kill the bomb makers, and fry the electronics of any bomb they might make. We already have the capability to enrich uranium, but after we get thorium reactor started we would never need to enrich uranium for power again. Why, that’s hardly useful for producing power! You mean atmospheric pressures. I’m not entirely certain that they would be run at atmospheric pressure, but they certainly run at dramatically lower pressure than conventional nuclear plants. Low pressure operation gets rid of many of the safety challenges of conventional reactors, which have to deal with steam and cooling. I have never seen sodium fluoride mentioned for reactors, but I have seen it in my toothpaste! I think you are confusing the LMFBR, the liquid metal fast breeder reactor, which uses liquid sodium as a coolant (hooray, a coolant so chemically reactive it combusts when it gets contacts air or water!). And the LFTR, which uses a Lithium/Beryllium-Fluoride salt, which is very stable chemically and not likely to be toxic since it’s not going anywhere either. Fluoride is a highly reactive chemical, so it can be safe in certain configurations. For instance, teflon pans are generally recognized as non toxic, even though teflon is largely fluoride. First of all, for so-called green energy, we need rare earth elements, like neodymium for motors and generators. Neodymium and other rare earths come with thorium, so we will have thorium like it or not. In fact, we have a lot of thorium sitting around already. Secondly, when used in a LFTR, the thorium doesn’t need to be enriched, and the near 100% burnup means you only need a fraction of the amount of you would need of uranium. To the tune of 0.5% or better. The best quote I’ve heard is that a single (not even particularly unique) rare earth mine in minnesota would, in the course of normal operations, be pulling up enough thorium to power the ENTIRE WORLD. The fabrication of a liquid fuel is trivial compared to the complexity of loading ceramics (of various enrichments) into zirconium tubes. No, sadly, the LFTR form was experimented with 50 years ago and abandoned by the nuclear industry in favor of the pursuit of the fast-breeder. Fast-breeders are even more of a challenge to run safely than PWR nuclear, so we don’t have any (but China has one now!). No one expected that we would still be burning enriched uranium at this stage. Many advocates of LFTRs believe that thorium power will be cheaper than coal. I agree, solid fuel thorium (solid fuel nuclear in general) is an inferior idea. Yep, but the public needs that sort of silly claim. 2. IEER seems to be where you got most of your factual statements. They take the claims of molten salt advocates and counter them with the realities of solid fuel reactors. This doesn’t make sense. In particular, they cite the 500 year (I’ve heard less) time to decay and then talk about a once-through mode (not molten salt). A once-through mode of thorium does not produce 500 year waste, it takes much longer. Also, they mention the halflife of Tc-99 as 200,000 years and cite that as a reason that the cooldown time can’t be 500 years. That’s just nonsensical. I think they should start considering where they’re going to store their 1.8 quintillion year half life tungsten light bulbs. 3. Subcritical thorium reactors a bad idea. Yes! Solid fuel is a bad idea. Fukushima didn’t have problems because it couldn’t stop fission, it had problems because it couldn’t reject decay heat from the core. Liquid fuels are really easy to cool, you don’t need water for coolant and you can use gravity to move them from core to passive containment without needing any power. 4. The wikipage on MSR is really about LFTR now. Hadn’t read it for a while. Thanks! Elemental *Fluorine* (F2) is highly reactive (more so than Chlorine or Oxygen). Fluorides are quite stable. Only W-180 has that half life and it represents less than one-eighth of one percent of natural Tungsten. The rest is “Observationally Stable” in that no half-life has been established for the other four isotopes, though it is suspected that they might decay extremely slowly. I was wondering if you would please back up even one of the statements you have made. Thank you. Please look into at least a little of the available modern research on LFTR and the thorium fuel cycle before writing articles on the subject. As it stands, after reading this article you sound neither neutral nor informed. I’d like to comment on your story “thorium not the nuclear saviour claimed” (your story IMO contains several serious flaws, both on the science and the engineering of MSRs) but I’m hesitant to take the time as it looks like you aren’t publicly posting comments. Could you let me know at the above address if you are accepting them, and if so, post the ones that you HAVE received already before I make the effort? There is so much wrong with this article I don’t know where to start! This reads like an attempt to discredit thorium with misinformation. The author claims that thorium’s 14-billion-year half life makes it dangerously radioactive. Not true; the long half life means that alpha decays occur very infrequently, so thorium is only slightly radioactive. The author implies that a thorium reactor requires a continuous supply of uranium-235 to operate. Not true; a thorium reactor requires a fissile isotope only long enough to start the breeding cycle that transmutes thorium to uranium-233, which is unsuitable for making bombs. The reason for that is, a small amount of uranium-232 is produced along with uranium-233, making it a dangerous material to handle, and easy to detect. The uranium-233 produced in a thorium reactor is entirely consumed, and enough is transmuted from thorium to sustain the reaction, using thorium as the primary fuel. The author makes the false statement that a thorium reactor is claimed to run at amospheric temperature. This is quite ridiculous, as a thorium reactor runs at atmospheric pressure and high temperature, for thermodynamic efficiency. Are you not confusing the Molten Salt reactor with using Thorium in a solid fuel rector. Using Thorium in a current technology solid fuel reactor would not resolve many of the issues we currently have and this is made abundantly clear in many of the presentations I have seen. I guess this is why you are showing a thorium pellet. It is often the case that when a new fuel comes along that it is not enough to use it in the conventional way but to gain the most advantage from the fuel we need to develop a new technology as well. We are lucky in that the molten salt reactor was built and tested to prove the concept but then discarded in favour of solid fuel reactors to provide bomb making material. Short of returning back to the stone age, mankind will use this technology, especially once we dispense with our current age of stupid. The only question is just how far we let our incredibly stupid politicians wreck the economy before we rest control back and start developing the technology. Ok, so how about you start with 3 ‘holes’ and enlighten us. If you’re interested, I found this via google alerts- I get alerted to any articles on the subject. I look forward to reading your response to the intelligently well thought out rebuttals. I’m sure your ignorance will be just as funny to read the second time around. Feel free to start from the top. What are these holes? Do you have evidence to back them up? Considering the posters provided links in many cases and corrected your mistakes, a poor attempt at diversion such as that is not going to suddenly make your article more credible. If you really think you can find ANY holes then just pick the first one (you haven’t because there aren’t any and you don’t have any idea what you’re discussing). Simple regurgitation of poor misinformation like this is truly an insult to those that appreciate rhetoric, rigorous debate, and FACTS. “There are so many holes in these responses I am not sure where to start.” Classic but tired cop-out. If you have the “dedication” to put out this article in the first place do you not feel the least desire to refute criticism of the (apparent) inaccuracies the responses have pointed out? Listserv? 🙂 I saw this article mentioned on Facebook. Instead of being intellectually honest and having an open mind, you are arguing from a position of militant ignorance, dismissing detailed and well-reasoned reponses from many educated people. For God’s sake man, read a textbook on nuclear physics, not just anti-nuclear propaganda which is full of misinformation and truth bent into pretzels to conform to the agenda. LFTR has the potential for America to end our addiction to foreign oil and to revive the economy, creating millions of jobs, paid for with money that now flows to foreign oil producers. You dismiss all that just so you can continue to believe that you are “right”? Good on you for publishing replies you don’t like. But I hope you’re going to stand your views UP now! There are so many holes in these responses I am not sure where to start. Just start with one of the holes you perceive, admin, and we can go from there. If you wanted to look more credible you could start by demonstrating that you understand the differences between a liquid fuel reactor and a solid fuel reactor, that you know that atmospheric pressure isn’t the same as atmospheric temperature and that you appreciate how the nuclear waste situation is altered by online reprocessing. It’s certainly up to you if you want to appear to be credible or not but if you do indeed want to those three things would be a great place to start. “So what thorium listserv did you guys all find this posted on?” Sure. If a number of people disagree with you, it must be a conspiracy and this in itself makes any refutation unnecessary. Please cite sources as this reads like black propaganda, raising false accusations to terrify and dis-inform. Ok, you say you don’t know where to start. Let’s try with 1 point. You say that thorium is ‘highly radiotoxic’. Yet it has a very LONG halflife (14 billion years) and hence hardly gives off any radioactive emissions at all, it’s used on several consumer products, and the amount of thorium that we would need to power this world would be on the order of 50000 tons/year (if we wanted 5 times our current energy demand), which is about the size of 1 battleship (note – that this is to power the WORLD. Answer this point – whether you agree with my above reasoning, and if no, why not – and then we can go onto the next one. Actually, we only need 5-7000 tonnes/year of thorium to replace all forms of energy used today. Replacing everything is not practical though, and we’ll without a doubt have a mixed energy supply consisting of Molten Salt Reactors and various green technologies. The best would be if we transition into using hydrogen as fuel. Intermittent energy sources like wind and solar could be used to produce hydrogen, which could be used to replace all fossil fuels used for transport. MSRs would provide all base-load power. I found it listed on face book. under thorium. Really your comments say you are a troll. I AM a solid-state chemist who did nothing but fluoride salt research for all 7 years of my brutal PhD work. I find your snarky comment glaringly telling that you have little understanding of even high-school chemistry or physics. I know a fair number of the people who posted here and THEY are also scientists – you are clearly not…. Feel free to do the math yourself (or just read): 232Th decays at about 4000 α/g/s because, as is correctly indicated by many above, the half life is so ridiculously long (~10^10years). So, if you took 100kg of it, after two years, you’d only have about 10μmol of α particles – 10 micromole! I can’t even explain how small that is. Suffice to say, I HAVE THE training and would be perfectly cool with putting this amount UNDER my daughter’s crib, because I know how far an alpha travels in air before it turns into a Helium atom – about 2cm…I can hold it in my hand because it only travels 40μm into a solid – far less than where the dermal layer starts in my skin. I could go on and on, correcting the many errors you make in this piece, but your attitude means my attempt will be fruitless.